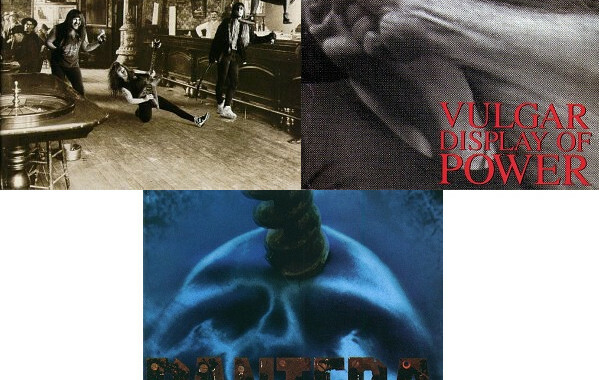 While Pantera was a popular regional glam band, when Phil Anselmo joined in 1987, the band started evolving. Power Metal was heavier than anything the other band had joined, evoking the album’s title more than their previous three albums. Yet they got much heavier for their major label debut. Vulgar Display is simply one of the best metal albums ever, and needs no explanation. Yet instead of following that album up with a Vulgar Display part two, Far Beyond Driven was heavier than either of its predecessors in every aspect. In fact, the band’s album-closing cover of Black Sabbaths’ “Planet Caravan” is one of the only times the album lets up. Click here to visit Metal Insider and see the other bands selected.